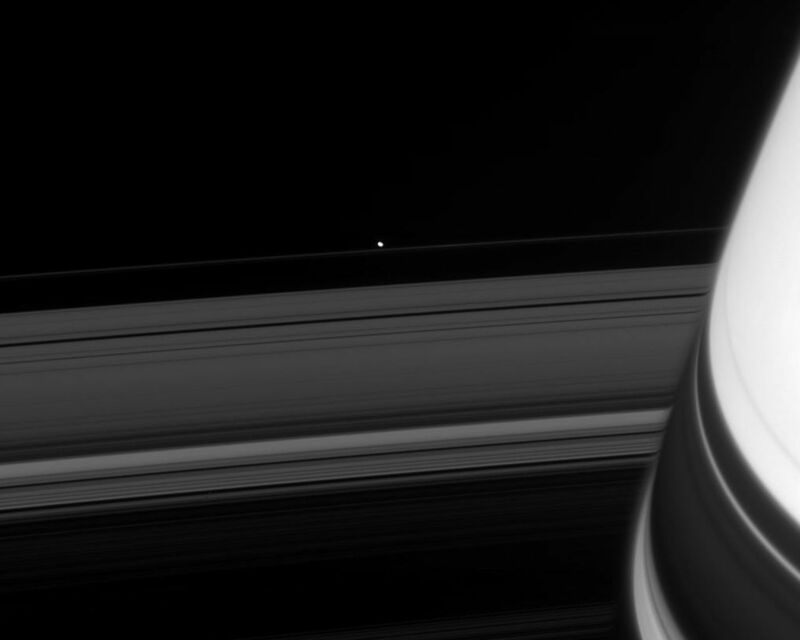 Across the darkened expanse of Saturn's rings, the Cassini spacecraft spies one of the F-ring shepherd moons. Pandora (84 kilometers, or 52 miles across) orbits Saturn just beyond the outer edges of the F ring. 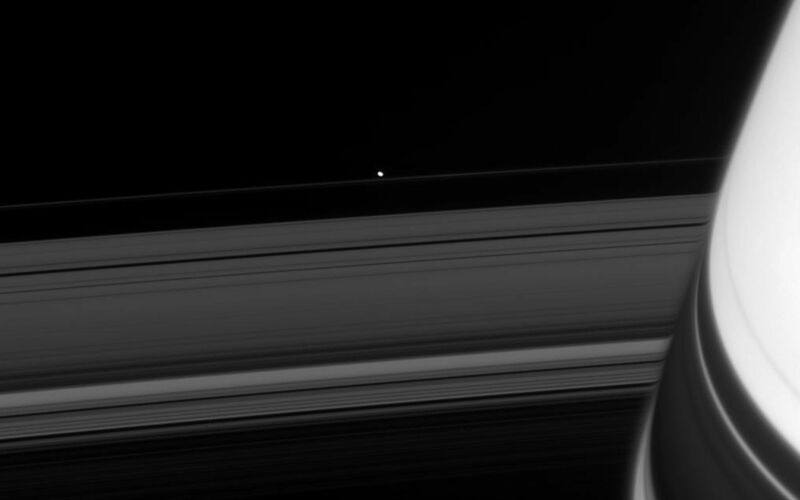 Close to the planet, the image of the rings is slightly distorted by Saturn's upper atmosphere. This view looks toward the unilluminated side of the rings from about 8 degrees above the ringplane. 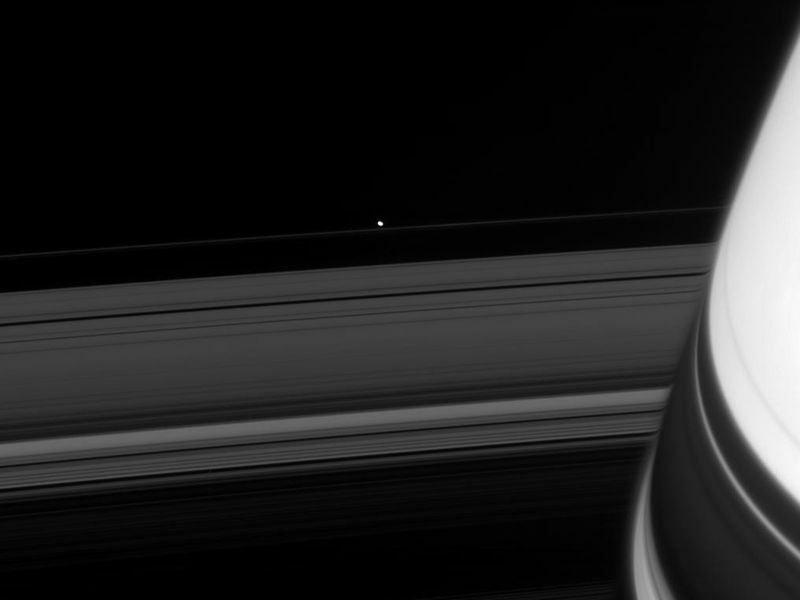 At lower right, ring shadows are cast upon the planet.